The paper analyses Information Communication Technology (ICT) as a pedagogical tool in secondary schools teaching and learning with a focus on ICT policy for education in Tanzania. The main objective is to provide an overview of how ICT has been applied in education as a pedagogical tool with a focus in secondary schools. By ICT, the possible consideration of media, the internet, computers and all newly innovated technologies as key ingredients in the process are on board. Moreover, for a country to achieve its vision and mission implementable sectoral wide ICT policy should in place as in secondary school ICT for basic education is a concern. The paper also discusses the private-public partnership modalities of implementing ICT policy in secondary schools. Parameters facing teachers in using ICT as a pedagogical tool such as lack of computers know-how, Internet connectivity and infrastructural facilities are keenly observed. Although there are good indicators of ICT policy implementation in secondary schools more intervention and initiatives should be carried out to have holistic integration of ICT in secondary schools teaching and learning countrywide. Machumu, H., Rabiel, A. & Almasi, M. (2018). ICT as a pedagogical tool in secondary schools teaching and learning: policy and practices interplays. In T. Bastiaens, J. Van Braak, M. Brown, L. Cantoni, M. Castro, R. Christensen, G. Davidson-Shivers, K. DePryck, M. Ebner, M. Fominykh, C. Fulford, S. Hatzipanagos, G. Knezek, K. Kreijns, G. Marks, E. Sointu, E. Korsgaard Sorensen, J. Viteli, J. Voogt, P. Weber, E. Weippl & O. Zawacki-Richter (Eds. ), Proceedings of EdMedia: World Conference on Educational Media and Technology (pp. 1827-1832). Amsterdam, Netherlands: Association for the Advancement of Computing in Education (AACE). Retrieved April 25, 2019 from https://www.learntechlib.org/primary/p/184413/. Binde, A.L. (2010). Conceptions of mathematics teacher education: Thoughts among teacher educators in Tanzania. Abo: Abo Academy University Press. Cornu, B. (1995). ‘New technologies: integration into education’. 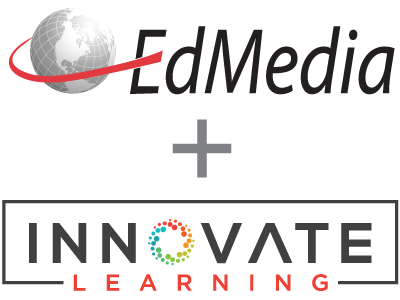 In Watson, D. And Tinsley, D. 5-1831-EdMedia+ Innovate Learning 2018-Amsterdam, Netherlands, June 25-29, 2018 (Eds), Integrating information technology into education. London: Chapman and Hall. Drent, M., & Meelissen, M. (2007). Which factors obstruct or stimulate teacher educators to use ICT innovatively? Computers& Education, 51(1), 187–199. Hare, H. (2007). Survey of ICT and education in Africa: Tanzania country report. Retrieved on January 16, 2016, from http://www.infodev.org/infodevfiles/resource/InfodevDocuments_432.pdf. Kafyulilo, A., & Keengwe, J. (2013). Teachers’ perspectives on their use of ICT in teaching and learning: A case study. Education and Information Technologies, 19 (4), 913-923. Koehler, M.J., Mishra, P., & Yahya, K. (2007), Tracing the development of teacher knowledge in a design seminar: Integrating content, pedagogy and technology. Computers and Education, 49, 740-762. Malero, A., Ismail, A., & Manyilizu, M. (2015). ICT usage readiness for private and public secondary schools in Tanzania: A case of Dodoma Municipality. International Journal of Computer Applications. 129(3), 29-32. Meyer, R.E. (2003). Theories of learning and their application to technology. In Harold, F.O’Neil, Jr & Ray, S. Perez (Eds). Technology applications in education: A learning view. Mahwah, NJ: Lawrence Erlbaum Associates, Inc., pp. 127-172. McLoughlin, C., & Oliver, R. (1999). Pedagogic roles and dynamics in telematics environments. In Selinger, M., & Pearson, J. (Eds). Telematics in education: Trends and issues Oxford: Elsevier Science, pp. 32–50. Mwandosya, M. (2011). Harnessing ICT to enhance business, public and sector effectiveness. Paper presented at the Investment Conference, Dar es Salaam, Tanzania. Saddiqui, M.A. (2011). Teacher education and ICT: Global Context, Policy and framework. Retrieved from http://www.mohdakhtarsiddiqui.in/2011/08/05/teacher-education-and-ict-global-con. Sife, A., Lwoga, E. & Sanga, C. (2007). New technologies for teaching and learning: Challenges for higher learning institutions in developing countries. International Journal of Education and Development using ICT, 3 (2), 57-67. Sedoyeka. E. & Gafufen, G. (2016). Computers in Tanzania Secondary Schools-Challenges and Opportunities. International Journal of Computing and ICT Research, 7(1), 22-32. Sodhi, I.S. (2013). ICT policy for basic education in Tanzania: Challenges, strategies and prospects. International Journal of Information Communication Technologies and Human Development. 5(4), 20-29. United Republic of Tanzania (URT). (2003). National information and communication technology policy. Dar es Salaam: Ministry of Education and Vocational Training. United Republic of Tanzania (URT). (2007). Information and communication technology policy for basic education. Dar es Salaam: Ministry of Education and Vocational Training.